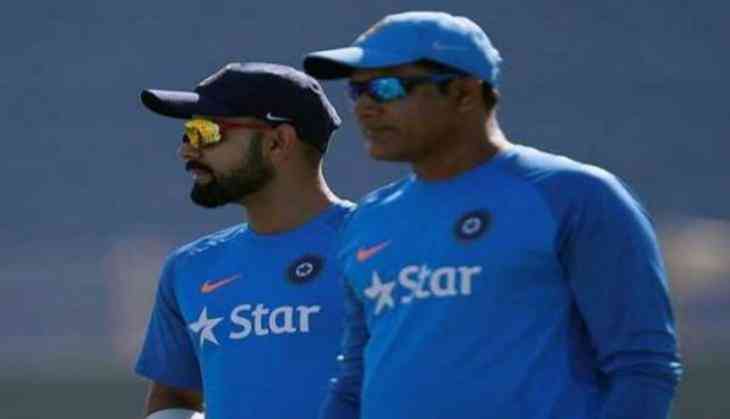 Kapil Malhotra, who was Team India's manager for the Champions Trophy, has made a startling revelation, saying that he did not see much communication between skipper Virat Kohli and former coach Anil Kumble during the tournament. "I did not see much communication between the coach and the captain. Personally, I did not witness any arguments between the two," Malhotra said in his report submitted to the Board of Control for Cricket in India (BCCI). "Initially When I met Mr Anil Kumble I found him to be slightly reserved, but as the tournament progressed I found him more approachable," he added. The head coach position has been vacant since Kumble's resignation following India's 180-run defeat against arch-rivals Pakistan in the Champions Trophy final at the Oval on June 18. Earlier, the legendary leg-spinner informed that Kohli had reservations about his work 'style' and his extension as the head coach, which prompted him to resign. The statement from Kumble confirmed the reports about Kohli's alleged spat with Kumble regarding differences of opinion on selection matters. However, Kohli before India's opening encounter at the Champions Trophy against Pakistan, had rejected the reports of him having rift with the head coach, saying they were mere speculations which have been created by the people. Many names like Ravi Shastri, Venkatesh Prasad, Virender Sehwag, Tom Moody, Richard Pybus and Dodda Ganesh along with Lalchand Rajput are in fray for post of India head coach. However, the BCCI invited fresh applications and the deadline was extended to July 9. The BCCI has already stated that Team India will get its new head coach before their tour to Sri Lanka beginning July 26.